A little while ago, I sat down and created a presentation to share my own journey through anxiety and out the other side. I called it Freedom from Anxiety and you can book a spot to watch it at the bottom of this post. I’ve had so many wonderful emails from people touched by what I shared. I was, quite frankly, touched myself by the response as all I had done was literally open up my laptop and hit record and speak my story and what I head learned that made the difference. In that presentation, (without spoiling it for you if you haven’t listened yet), I shared that my life was one where I had experienced anxiety for 20 years, one and off. It would get really bad and then it would seem to disappear and I’d think I’d cracked it, and then it would came back again. It kind of went on and off in that cycle. I did a Bachelors degree in Psychology, I did a Master’s degree in Psychology, and then spent the rest of my career up to this point studying psychology, personal development, NLP, basically anything I could find, to help other people around me in my profession as a coach, but also really to try and get to the bottom of my own anxiety. I couldn’t get on a train. I wasn’t able to take public transport so I wasn’t able to work (I had a corporate job in London at the time) and I had to give up my well-paid job. It got so bad at one point that I couldn’t leave my house. I couldn’t even put the bins out at the end of my driveway. I had outpatient care – actually, they wanted to admit me but I wouldn’t go in – at the Priory. I had cognitive behavioural therapy. I was on a quest to try and discover this for myself because I didn’t want to live that way anymore. I wanted to be able to go to the supermarket. I wanted to be able to pick my children up from school. I wanted to be able to choose my children’s senior school based on where I actually would like them to go and not let anxiety dictate just about every decision I made. It was determining whether I could go and see my mum. It was determining what career, what job I did, how I delivered my services, everything. It was the limiter on everything that I did. Then, I stumbled across this completely different understanding and approach to psychology and anxiety and essentially all human suffering that in all my years of looking so hard I’d never found before. What I shared in that Freedom from Anxiety presentation and what I want to talk to you about here and over my next few blog posts is to point you towards was exactly what it was that I came to understand. Since then, I’ve taken my daughter to Disneyland Paris. 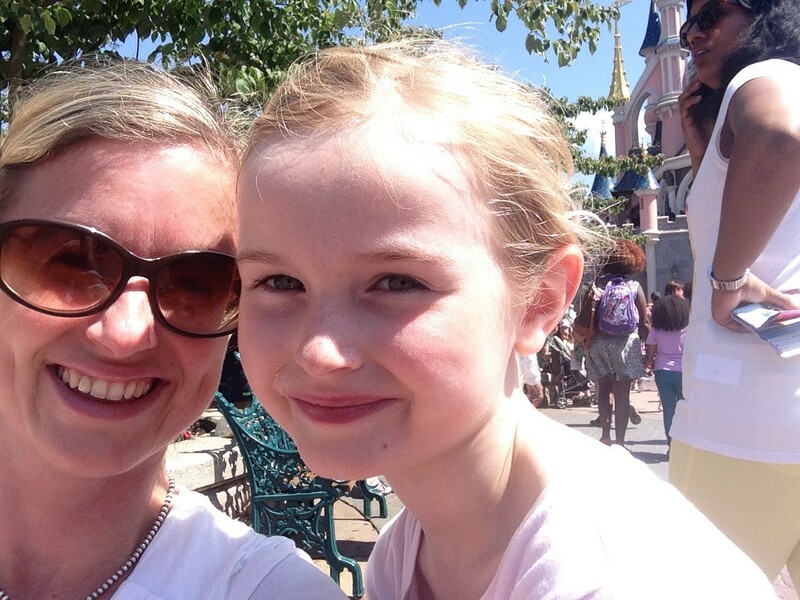 I’ve taken each of my kids to Disneyland Paris with me and my daughter was two years overdue for her visit and I just couldn’t do it. I was too scared to do it. I made that trip with her completely anxiety free. I’ve driven to my mum’s, which is three hours away around the motorway. The motorway was something I definitely couldn’t do. These days I take my kids to school and matches all the time. I drive to my mentors and my trainings and I travel around the world. I was in Ireland a few weeks ago and France a couple of weeks after that. My anxiety no longer dictates where I go and who I hang out with and what I’m able to do and which invitations I can accept. In the past, what I had ended up doing was trying to control and control and control. I was such a victim of my anxiety that my world was getting smaller and smaller and smaller so that I could control it. So that I could be safe. The difference now is I feel like there’s no limitations to where I can go and what I can do. You know what’s incredible to me now? I live the life of an ordinary person. All I wanted was to be like an ordinary person, to be like the other mums at the school gate, to be like my husband who could just get in a car and drive on a motorway, to be like all those normal people I could see all around me who could go to pop concerts or take their kids out to dinner or whatever. I just wanted an ordinary life, and that’s what I feel like I have now and I know is a 100% result of this understanding. I tell you that, I want to share that with you, because I want to point you towards hope. I want to share this with you because I’ve been where you’re at. I know what it feels like to try everything and get a result for a little while and then it kind of falls off and it falls away and it wasn’t the solution after all. I know what it feels like to be three years, four years on from panic attacks, anxiety, all of that kind of thing. I don’t have migraines anymore. I don’t have to worry about where the nearest toilet is. I don’t have to worry about sitting right next to the exit to make sure that I can get out. I can get on a plane. I can go in a lift. All of the kind of things that I couldn’t do before. I share that with you because I want you to see what’s possible. Even when it feels like this is something you might have had for so long that it feels like you’ve forgotten what life was ever like before and you’ve just accommodated that into your life – to show you that it doesn’t take much, it takes pointing in the right direction and then the world becomes yours again. This blog post can only explain so much so I’ve put together an audio for you so that I can share more about what really helped. It’s completely free and you can get it below.